What is my plant code? The Lowe’s plant code is your key to easily accessing the care instructions for the thousands of plants sold at Lowe’s. It can be found on the back of every Lowe’s plant tag. There are two simple ways to use it. •	Text the plant code to 75268. You will receive a link back that takes you directly to that specific plant. 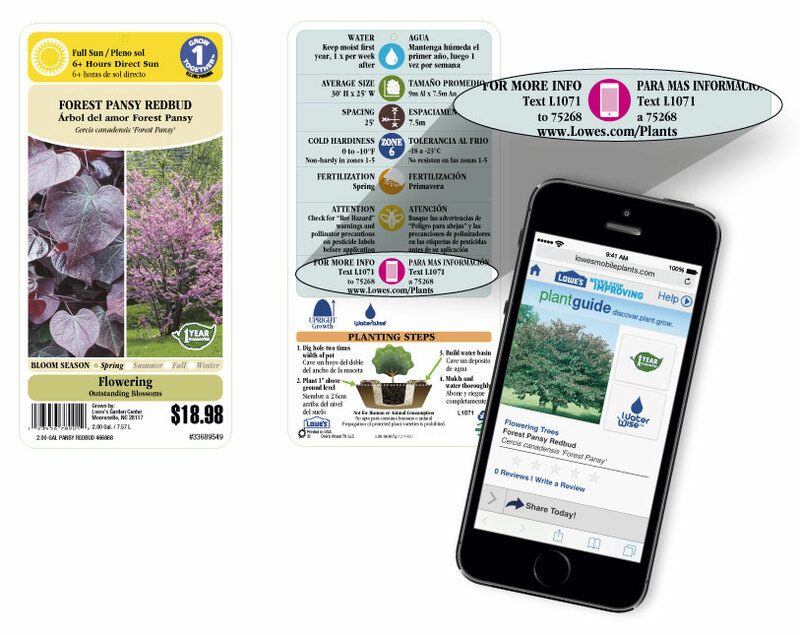 •	Enter the plant code in the Lowe’s quick plant search on your mobile or desktop device.